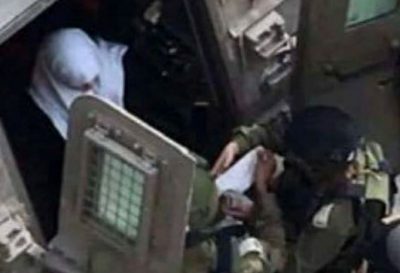 The Palestinian Prisoners’ Society (PPS) has reported that Israeli soldiers abducted, overnight, at least 26 Palestinians, including several children, from their homes in different parts of the occupied West Bank. The PPS said the soldiers invaded and violently searched homes in occupied East Jerusalem, before abducting four children and a young man. Jerusalem, searched homes and abducted a young man, identified as Abdul-Karim Shiokhi. The Jenin office of the PPS, in the northern part of the West Bank, said the soldiers invaded Jaba’ town, south of Jenin, searched dozens of homes and abducted eleven Palestinians, including teachers and former political prisoners. The abducted Palestinians have been identified as Nazeeh Abu ‘Own, Islam Abu ‘Oun, Sa’id Abu ‘Oun, Emad Kanaan, Ahmad Malaisha, Ashraf Malaisha, Bassel Ghannam, Radwan Fashafsha, Bilal ‘Alawna and Ziad ‘Alawna. Furthermore, the soldiers invaded the al-Far’a refugee camp, south of Tubas, searched homes and abducted Mohammad Saleh Jabarin, Rabea’ Jamil Mubarak, Mahmoud Nathmi and Qais Abu al-Hasan. The Hebron office of the PPS, in the southern part of the West Bank, said several army vehicles invaded Sa’ir town, northeast of Hebron, searched homes and abducted three Palestinians, identified as Yacoub Mousa Jaradat, Fadi Ishaq Jaradat and Yousef Abdul-Razeq Jaradat. It added that the soldiers also invaded Beit Ummar town, north of Hebron, and abducted Qussai Ahmad Abu Hashem, 16, in addition to stealing gold and cash from the family while searching the property. In Tulkarem, in the northern part of the West Bank, the soldiers searched homes and abducted one Palestinian, identified as Talal Zo’rob, 38. One Palestinian, identified as Samir Mahmoud Mousa, 35, was abducted from his home in the al-Khader town, south of Bethlehem. In related news, the army said it detained one Palestinian in the morning, allegedly after he attempted to stab one of them.